This project is where the YMCA meets an indoor water park. 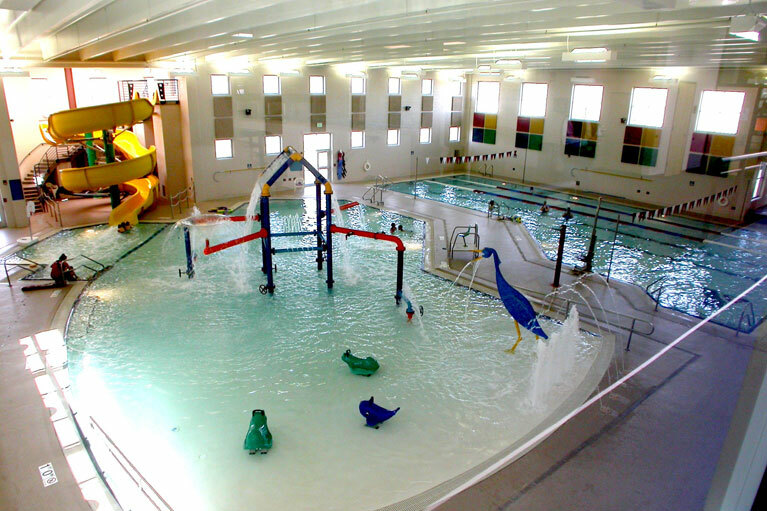 The YMCA features an indoor lap pool, spa and zero entry activity pool. The activity pool offers a ton of aquatic fun with a two turn open flume water slide, as well as a play feature that includes squirting wells, squirting frogs and waterfalls. All of this equals great entertainment for kids of all ages.